In Parte Uno of discovering dry Sherry, we met Fino and Oloroso. These are two completely different wines yet they originate from the same base wine. The essential difference between them is that their creation is either by ageing biologically with flor or by ageing with air. But dry Sherry styles don’t stop with those two. Other related forms are created by geography and by modifying what happens in the Solera. A variation on the Fino style is called Manzanilla. This is saltier and more savoury in flavour with a lighter colour. The difference is down to geography. Manzanilla is from the coastal town of Sanlúcar, not Jerez. Some claim that the difference is because the coastal breeze at Sanlúcar gives Manzanilla a briny tang, but that isn’t true. In fact, Sanlúcar’s coastal location is cooler and more humid. Those conditions maintain a thicker covering of flor throughout the year, so creating the saltier flavour. At Jerez, which is inland, the flor tends to die back during the dry heat of summer. However, just like Fino, Manzanilla is best well-chilled and drunk with the same kind of food. Also like Fino, Manzanilla producers now release En Rama versions in limited quantities. Another Sherry style is called Amontillado. These start out as Fino, so are initially influenced by flor. However, they spend much longer in the Solera, usually at least fifteen years. At between seven to ten years, the wine runs out of the nutrients that the flor needs. So the flor dies. Now the wine becomes exposed to air and oxidation takes over the maturation. The wines gradually become darker in colour and develop new flavours and aromas of nuts and butter. In a sense, an Amontillado is a Fino that has been aged long enough so that it also develops mild Oloroso flavours. Amontillado varies in the balance of Fino and Oloroso flavours according to how long the Sherry producer ages them. This Amontillado style is also made with Manzanilla at Sanlúcar to create Manzanilla Pasada, which is more buttery than Amontillado. Both Amontillado and Manzanilla Pasada are extraordinarily versatile with food, excellent with Tapas or the Spanish ham, pata negra. Finally, look out for the rarity in dry Sherry – Palo Cortado. It’s a Sherry that’s often described as combining the aromas of Amontillado with the body, palate and colour of an Oloroso. In other words, it smells like an Amontillado but tastes like an Oloroso. In reality, it’s better than that! Mahogany in colour, it typically has bitter orange, coffee, nut and butter flavours. Such wines have enormous intensity and complexity. Palo Cortado is perhaps a happy accident. The wine started out as Fino, but mysteriously doesn’t develop flor. Those butts are selected out at an early age and then deliberately fortified again to 17-18% which encourages oxidation. Then follows many years of ageing in a separate Solera. Due to its rarity and the unique combination of aroma and taste, Palo Cortado is often regarded as the King of Sherry as is often the most expensive style. It is a terrific companion for Blue cheese, oxtail and hearty winter stews. It always amazes me that all the dry Sherry starts out in life as a dry white base wine of moderate alcohol. Sherry offers a range of incredible flavours and food pairing possibilities. This means that it is also perfectly possible to drink Sherry throughout a meal, as there is always a style to match each course. And what of the sweet styles of Sherry? The Vinos Dulces Naturales are super-sweet wines from Moscatel or Pedro Ximénez (PX) grapes. These excellent wines have rum and raisin flavours that go especially well with desserts. For instance, PX poured over ice cream is gorgeous! Those wines deserve their own separate article. The sweeter styles of Sherry, (sometimes referred to as Medium Sherry and Cream Sherry or Vinos Generosos Licor), are sweetened dry Sherry wines. The sugar can come from unfermented grape must, but the best quality examples use a little Moscatel or PX blended in instead. These sweet wines are very popular in the UK yet undervalued by many “critics”. They deserve their own separate article. So look out for Parte Tres in future. 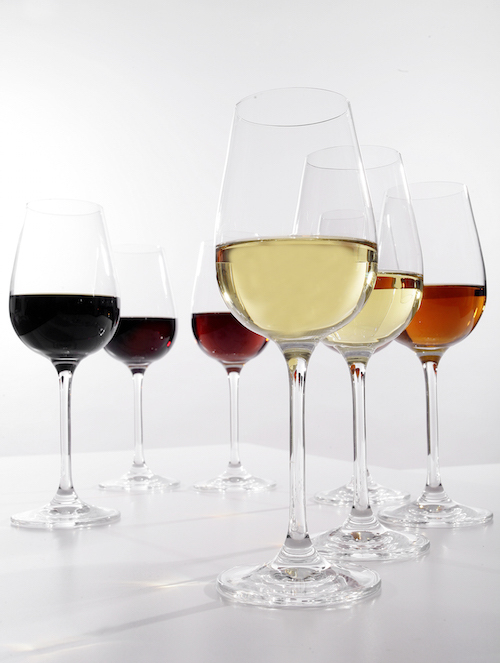 Whatever the style, with Sherry, you can still drink world-class wines for not much money. So may the flor be with you. Are you into Sherry? What’s your favourite style? Excellent articles on a complicated topic. Keep up the good work!